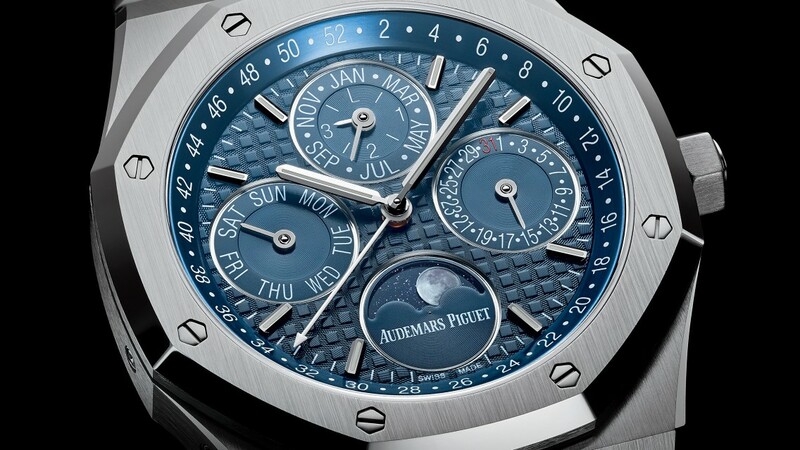 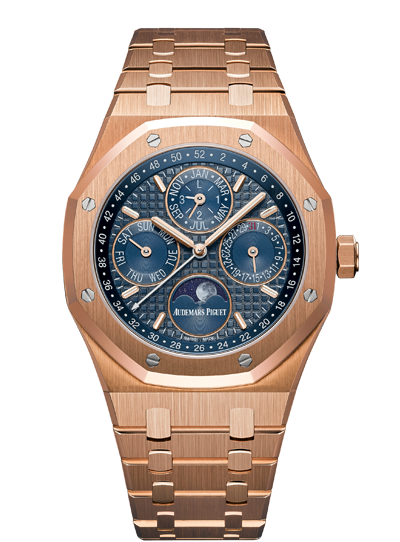 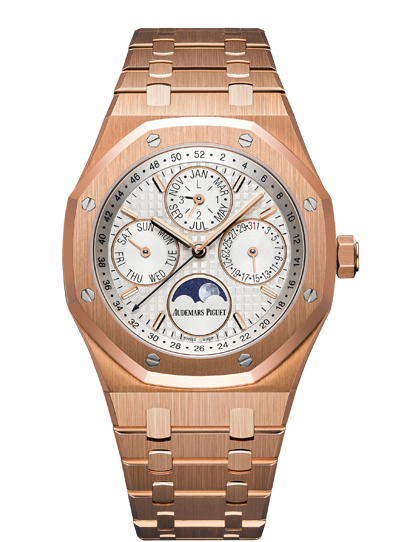 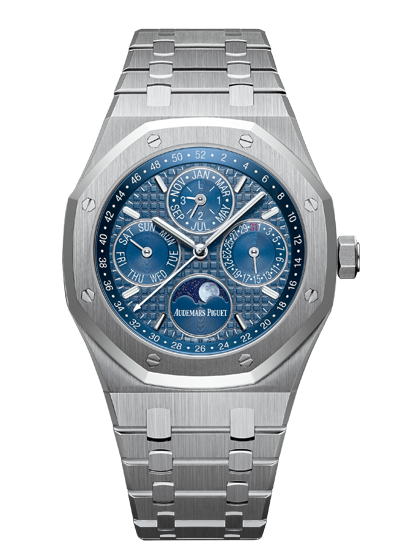 Royal Oak Perpetual Calendar will be released with stainless steel and 18 carat rose gold case options, case dimensions are 41mm x 9.5mm. 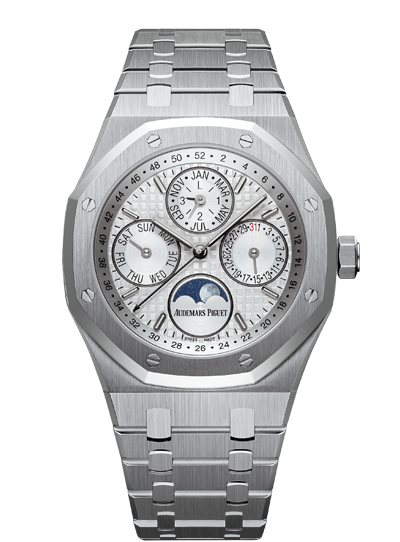 Both front and rear glass are made from sapphire crystal and the watch is water resistant up to 20 meters. 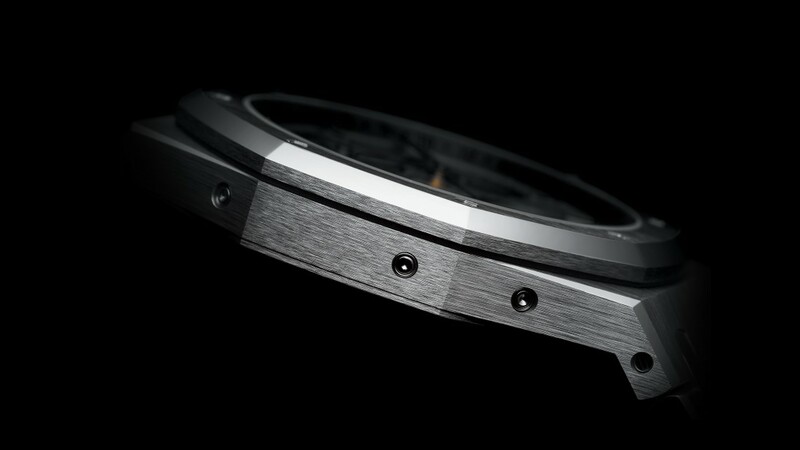 First versions will be on sale with steel(and gold) bracelet but we guess that, leather strap options will be served at later times. 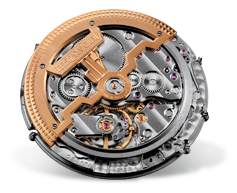 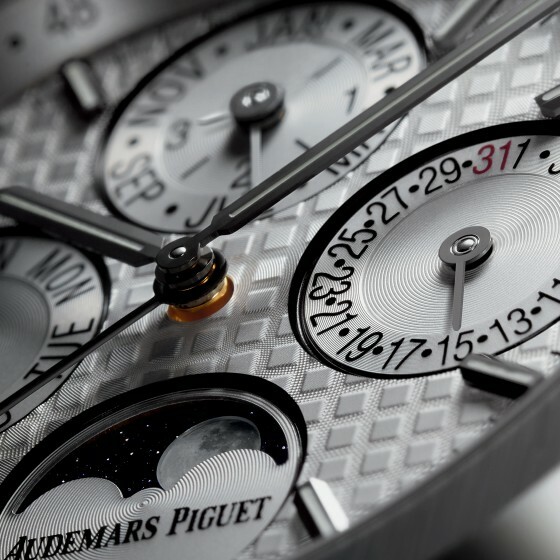 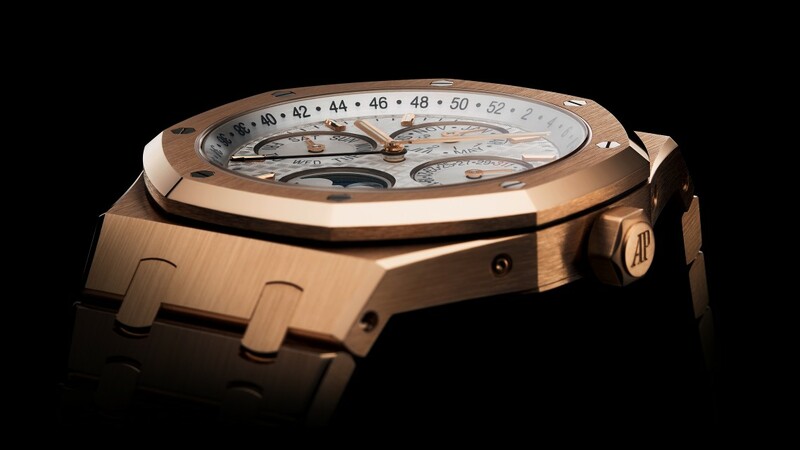 Movement is manufacture caliber 5143, has 374 individual components, 19800vph and 40 hours power reserve. 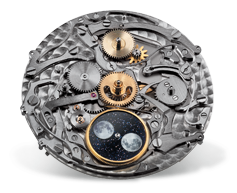 Perpetual module gives the information about day, date, week, leap year and moon phase.